www.cbc.ca - A Winnipeg couple who endured power outages, plumbing problems, loud buzzing in their room and even a fire at a Dominican Republic resort are hoping for a full refund from Sunwing Vacations months after the company ended its relationship with the resort. "I expected the resort to be much like we've had before, but in this case, it wasn't. I guess the discount was because it was crappy. Crappy conditions," said John Dzioba. Dzioba and his wife, Betty, booked 14 nights at Playa Dorada Beach Resort in Puerto Plata in February 2017 for $3,700. At that price, they weren't expecting luxury, but they were expecting the basics such as running water and electricity. From the moment they checked in, they were plagued by problems in their suite, including a late-night fire that knocked out a generator in a nearby building, ongoing power outages, toilets that didn't flush and loud buzzing in their room. "The flames were shooting," Betty Dzioba said. "And like, there's nobody coming around, nothing — no smoke alarms or explanations from staff." The power intermittently cut out before that, but after the fire, the power supply was like a "yo-yo," the Dziobas said. "Air conditioners were going up and down, electricity was popping up and down," John Dzioba said. "There was no water," his wife said. "You could flush the toilet once after the power went out and that's it — you had no more water." At the restaurant, resort guests dined not by candlelight, but by the light of phones. When the Dziobas peered into the kitchen, they saw staff trying to prepare the buffet with flashlights. The lack of light also made it dangerous to get around, John Dzioba said. "It's pretty pitch black," he said. "You couldn't walk at night when the lights were out." The pool was murky and dirty, which the couple believes was the result of the power issues. "I never did go for a swim," he said. When there was power, there was the strange buzzing from the power box in their room, which made it difficult to sleep. "Which actually got worse as the days went on," he said. "It got loud to the point to me it was almost like an alarm clock." Sunwing confirmed a fire broke out at one of the generating stations one night. The fire was quickly extinguished and was not in an area close to guests, the company said. The Dziobas said they repeatedly contacted Sunwing and asked to be moved to another resort. Midway through their stay, the company offered to put them at another resort if they paid an additional $300 plus transportation. The couple declined and resigned themselves to toughing it out. "There was no point," John said. "Sunwing made promises that they'd do something… and the resort was always making promises that they'd fix this, fix that, which never got done. So you know, it sort of wears you down after a while. There's not much you can do." After the Dziobas got home, they wrote a series of letters and emails to the company, seeking compensation. Initially they asked for a vacation do-over. Instead, the company offered them $216. After some more back and forth, they were offered $876. John Dzioba rejected that offer, too. 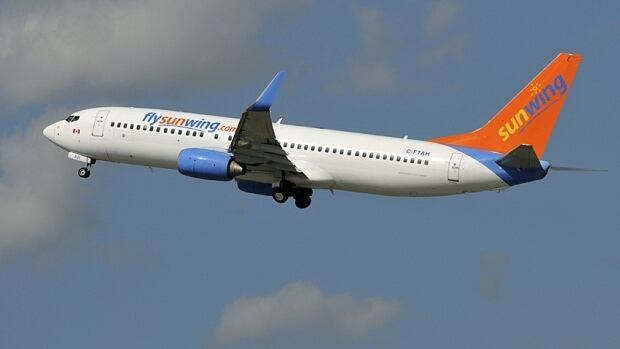 "Considering that I paid close to $4,000 for that vacation, and for the period of time that we had to endure this whole, this whole event," he said, "Sunwing seems to have a poor attitude towards their customers, towards their clients." Sunwing said in a statement that it "stopped selling Playa Dorada Beach this past April," but it is currently selling packages to the same property, which is under new management. Hodelpa, which operates two other popular Sunwing vacation resorts in the Dominican Republic, has taken over the property. "The new hotel, which is called Emotions By Hodelpa Playa Dorada, is currently undergoing extensive renovations and infrastructure improvements with plans to open on Dec. 15, 2017," Sunwing said in a statement to the CBC. "They obviously realize that there was an issue with the previous management," John Dzioba said. "I feel justified in my complaint." The Dziobas are not the first Canadians to complain about Playa Dorada Beach Resort. A New Brunswick family dubbed their stay the "trip from hell." 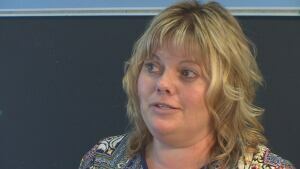 "That resort had major issues," said Tammy Wright, of Perth-Andover, N.B. The CBC has already written about a trip Wright's mother and children took to Playa Dorada in February. "They were in the dark. They had water on the floor of their bedroom when they woke up in the morning one day," she said. "They witnessed people who couldn't get into their rooms — an elderly man sitting on the floor, wanting to get in." From New Brunswick, Wright tried to get her family moved. 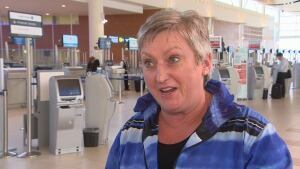 She called Sunwing and a travel agent but there was nothing she could do to get them out, she said. Sunwing offered the family a $50 voucher toward another trip, or a $72 voucher if it was used toward the same resort. The Wrights didn't take Sunwing up on the offer. At least one travel agent isn't sure a full refund is warranted. "I'm not sure that that's fair," said Mary Jane Hiebert, chair of the Association of Canadian Travel Agencies. "They did spend a week in the Dominican Republic." "They were offered a partial refund I believe and that may have been valid, but I don't think that a full refund necessarily would be valid," Hiebert said. Hiebert recommends consumers go through a travel agent to avoid ending up at a disappointing resort. "I would not send people to Cuba or the Dominican on a three-star resort," the travel agent said. Travel companies review the resorts they offer and the feedback they have received about them every year, she said. "They do weed out the bad ones, and this one obviously was giving them a lot of problems, so it was worth it to take it out of their repertoire," Hiebert said. Sunwing said it plans to visit the newly refurbished resort this week to inspect it and "ensure that it meets/exceeds our quality standards before receiving guests." "We remain extremely apologetic for how this affected our customer's vacation experience and advocated on their behalf with the hotel management to negotiate compensation," the company said about the resort's past incarnation. No further offers of compensation have been made to the Dziobas or the Wrights. Wright said she is disappointed with Sunwing's problem-solving on the ground, and while she doesn't plan to book with the company again, she hopes the company learned a lesson and does a better job screening resorts. "I hope that Sunwing checks with the resorts more cautiously and carefully."